Residents of Antigua and Barbuda benefit from no capital gains tax or estate taxes. Income taxes are progressive to 25% and for non-residents, they are at a flat rate of 25%. Proposed amendments to Part 111 Section 5 of the Income Tax Act will change taxation on worldwide income to taxation on income sourced within Antigua and Barbuda. The currency is the Eastern Caribbean dollar (EC$), which is pegged to the US$ at 2.70 EC$/US$. 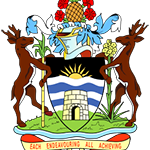 Antigua and Barbuda is a member of the United Nations (UN), the British Commonwealth, Caricom and the Organisation of American States (OAS), among many other international organizations. Holders of the Antigua and Barbudan passport enjoy visa free travel to approximately 126 countries, including the United Kingdom, Canada and the countries of the Schengen area. Holders of this passport, like all Caribbean countries, do require a visa to enter the US as they are not a member of the Visa Waiver Program.